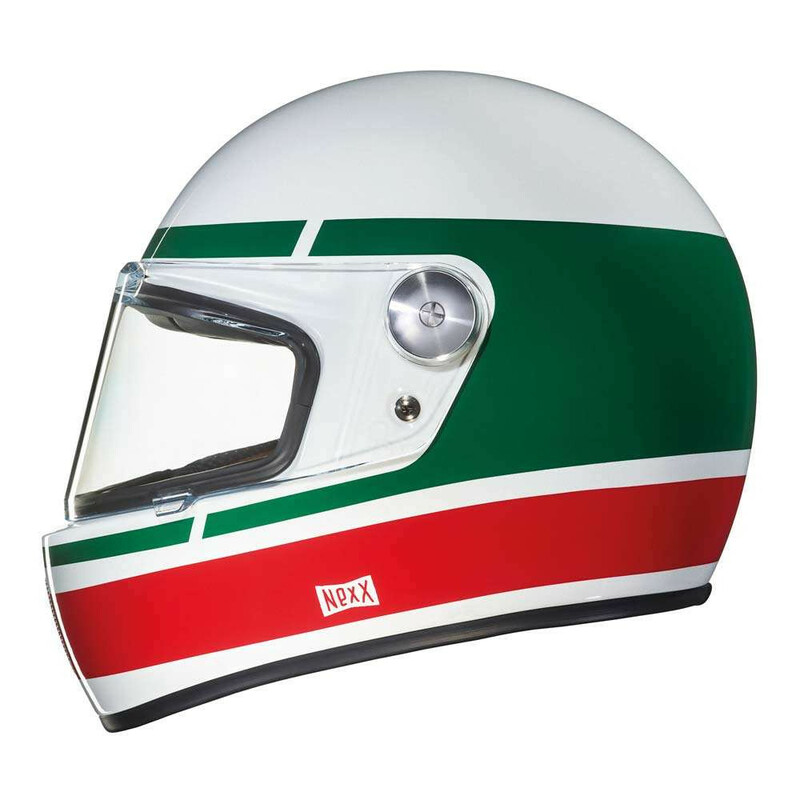 The XG100R motorcycle helmet is the race thoroughbred sibling to the well established XG100 range from Nexx. Continuing the partnership with the Maria Riding Company, the XG100R builds on the modern features within a retro-styled package – this Record model also features really striking decals that are sure to catch the eye during rides. The snap-on visor is replaced with a rotating shield for those who like to keep their chin on the tank and comes complete with a removable anti-fog insert. The fit is also taken up a notch, as the XG100R features two different shell sizes across the broad XS-XXL size range. The shell itself is fashioned from Nexx's X-MATRIX material: a combination of fibreglass, natural fibres, and aramid and carbon reinforcement. This makes for an extremely strong full face helmet, weighing in at a mere 1200 grams. The Record also features adjustable padding for better comfort, a double D ring closure system to help keep the helmet in place and a removable and washable lining to ensure it stays fresh after prolongued use. The retro silhouette of the XG100R contrasted with the striking metallic decals makes for a highly desirable helmet that's not easily forgotten.